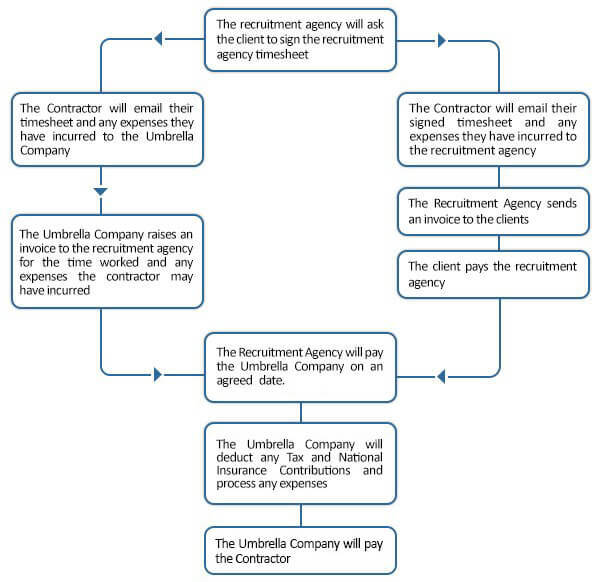 What is a Pay-as-you-earn (PAYE) umbrella company? By operating through a PAYE umbrella company, a freelancer/contractor turns into a member of workforce, of an organisation. An umbrella company raises an invoice, each week or month, and shares it with an agency based on the timesheet shared by a freelancer/contractor. Once the invoice is verified, an umbrella company makes the payment to a freelancer/contractor, after deducting the applicable national insurance contributions (NIC) and income tax. Operating through an umbrella company is very simple and a freelancer/contractor must review his/her for IR35, a tax legislation that is intended to tackle tax evasion. The IR35 regulation administrate whether a freelancer is deemed as an employee for tax computation. The IR35 status, of a freelancer, for each contract will determine whether he/she is ‘inside IR35’ or ‘outside IR35’ – this will be determined through the working provision and contract signed with each company. In case a freelancer is ‘inside IR35’, then in such a scenario the entire earnings will be paid off as salary only – here, operating through a pay-as-you-earn (PAYE) umbrella company will be a useful alternative. On the other hand, if a freelancer is ‘outside IR35’, then he/she will be eligible to take advantage of remuneration, along with bonuses, by establishing their own limited company – such an arrangement decreases the tax burden significantly. Once a freelancer/contractor turns into an umbrella company employee, he/she will be required to provide form P45 or P46 along with administrative information such as personal details, bank account number, and National Insurance (NI) number. An umbrella company will process the payment after deducting National Insurance contribution (NIC) and tax – hence, there will be no need to hire an accountant. An umbrella company is administered by Her Majesty's Revenue and Customs (HMRC) and by operating through an umbrella company, a contractor receives the payment after the company has subtracted the fee to be paid to an umbrella company. Additionally, a freelancer must authenticate the payslip generated by an umbrella company. An umbrella company signs a contract with an agency. An agreement is signed between an umbrella company and a contractor/freelancer. The work performed by a contractor will be verified by an umbrella company on the basis of the timesheet submitted. Key Responsibility Areas (KRA) of a contractor include sharing the timesheet with an agency, as well as, sharing a copy with an umbrella company. An invoice is sent to an agency, for the work carried out by a contractor (hourly basis), by an umbrella company which might also encompass the applicable rewards. Post the receipt of an invoice, an agency is liable to send it to the end client. Usually, an invoice encompasses the cost per hour of work performed. After authenticating the invoice, the agency will take delivery of the payment from the client. Based on the terms of payment agreement, the agency will give the amount to the umbrella company. A contractor will receive a payslip describing the deductions (tax and National Insurance (NI)) before payment. As a final point, a contractor will be given compensation, with all applicable deductions, from an umbrella company. 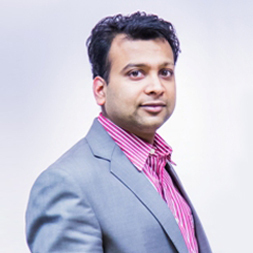 Also Read: How to Compare Umbrella Companies for Contractors? A contractor is eligible of additional benefits such as group pension scheme, contractor mortgages, childcare vouchers, employee rewards scheme, contractor accommodation, foreign currency exchange, along with many more. A contractor will not be required to hire an accountant for National Insurance contribution (NIC) and taxation purpose – an umbrella company is liable to deduct these before processing the payment. Work more, earn more! Since, a contractor bills an umbrella company for the number of hours worked he/she is empowered to work 24 hours by an umbrella company. Generate an invoice for the work performed, and get paid! United Kingdom citizens, who operate through an umbrella company, tend to sign contracts which state to be tax-savers. Although, most agencies and umbrella firms work within the taxation rules, however, some umbrella firms and agencies boost provisions that state to be ‘tax efficient’ or ‘legal’. Such provisions provide contractors different ways to secure most of their income, thereby, diminishing the tax liability. Such provisions sooner or later result in disbursing additional tax, fines and interest. Initially, a freelancer/contractor is paid a portion of the total invoice amount – here, National insurance and tax are deducted before making the payment. Later on, he/she receives another payment which does not include any National insurance or tax deduction – such payments are usually made from a different account number, probably an overseas account. Usually, the second payment trance will be mentioned separately in the payslip – it is to be mentioned under a different head! At this point, no National insurance contribution or tax would have been subtracted. Such provisions are unsafe and can operate in multiple different ways. Though, umbrella companies claim to help a contractor by increasing the pay-out percentage but in the end it becomes problematic for a contractor/freelancer. Such umbrella companies define the payment as non-taxable and term it as a credit, loan, credit, or somewhat similar. But then again, it must be known that such outlays are same as standard income, and it’s vital to pay National insurance (NIC) and appropriate tax. It is a trap, if, a freelancer/contractor is guaranteed to receive 80%-90% of the invoice total in-hand. As per the HMRC guidelines, this is lawfully not possible – this is controversial as the minimum income tax rate is 20% and the payment is also subject to NIC deductions. It is a trap, if, only a percentage of the earnings is remunerated through payroll and subject to pay-as-you-earn – this reflects that a contractor is only paying tax on certain percentage of the income received from a umbrella company. It is a trap, if, a contractor obtains payment through loan, credit, or investment payment. At this point, an umbrella company will assure that the pay is not subject to National Insurance contributions or income tax. It is a trap, if, the payment is received through numerous corporations before it is credited into a contractor’s account. Generally, contractors are communicated that the plan is HMRC compliant, however, it is mostly incorrect. Such arrangements can be tremendously risky and HMRC continuously encourages United Kingdom citizens to disregard tax avoidance arrangements. If a contractor is party to such arrangements, then, he/she is expected to be evading tax and as a result will pay fine and additional tax.